19 December 1999. 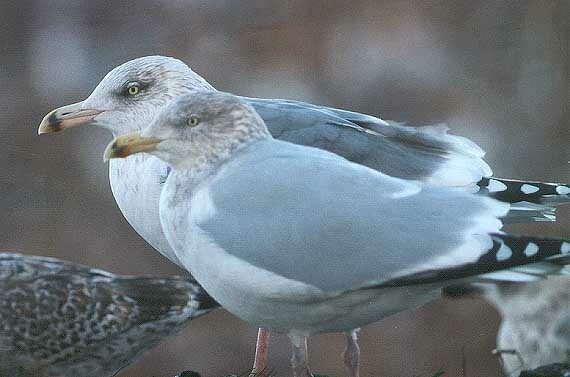 A northern argentatus-type Herring Gull in the background, behind a more argenteus-type. Note the difference in size, length of the bill and mantle colour. Barely visible the argentatus also shows more (bubblegum) pinkish legs and a more pinkish-toned billcolour. 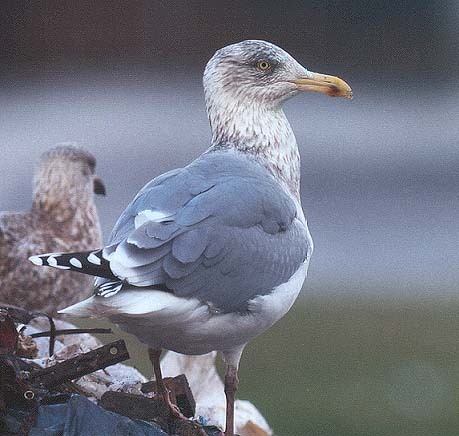 Another argentatus appears in the picture below and was photographed on 23 January 2000 just as the above picture at the VAM rubbish- dump near Wijster in the Netherlands.